The Horrific Venus Mouse Trap is a Tactical type weapon. 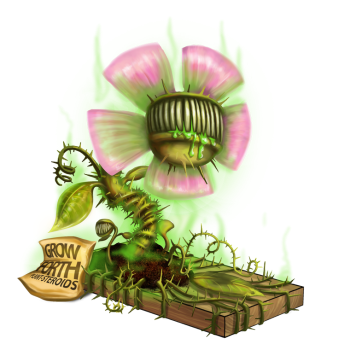 The effects of radioactive sludge on this Thorned Venus Mouse Trap appears to have given the plant an aggressive temper! Its sharp vines now ooze with toxic waste making a menacing opponent for any mouse. The Horrific Venus Mouse Trap is not sold by any Trapsmith. It can only be crafted given the proper ingredients. On 29 July, 2015 the point requirement for the Horrific Venus Mouse Trap was lowered from 8,000,000 to 3,200,000.